On December 5, 2018, Dover-Sherborn Regional High School participated in The John Stalker Institute’s Back to Basics Latin American Cuisine culinary Workshop to Go.During this 3-hour workshop, school nutrition staff learned about the ingredients and health benefits of foods from Latin America, and discovered healthy cooking techniques during a food demo. Nutrition staff also advanced their culinary skills by creating the following Latin American-inspired recipes. The staff worked in groups to prepare these student-friendly recipes, and were given the opportunity to taste-test an authentic Build-Your-Own Latin American Street Taco. Cutting a lime used in the fresh salsa. In tasting the recipe, the staff and the director had the opportunity to critique, discuss, and experience the Latin American Cuisine firsthand to ultimately decide which recipes to menu at their school. Through this workshop, staff have enhanced their culinary skills and built the confidence needed to prepare this new, popular menu option. To learn more about the Back to Basics: Latin American Cuisine workshop, please visit our website to request a Workshop To Go or visit the JSI Resource Center page! JSI Instructor demonstrates the proper measuring utensils. On Wednesday, October 3, 2018, JSI instructor Christanne Harrison presented the Get the Right Scoop Workshop to Go at Dover-Sherborn High School. This new workshop allows school nutrition staff to discover why and how to use the correct measuring tools for proper portioning to meet the meal pattern, as well as the connection between portion control and cost. Interactive activities allow the participants to recognize the minimum requirements for each of the five food components with extra practice given to vegetable subgroups. Some of the Making It Count activities are incorporated into the workshop, making it both fun and educational! If you would like to schedule a Get the Right Scoop workshop at your school, visit our website to request a JSI Workshop to Go. On October 10, 2018, The Nuts and Bolts of School Nutrition Continuation Series offered a session for school nutrition professionals in Residential Child Care Institutions (RCCIs) called “Improving Access for RCCI’s in School Meal Programs.” RCCIs provide non-traditional meal service to accommodate children with varied special needs. This session was designed specifically for RCCI professionals to share, learn and network with others in the state. The session started with an assessment of the needs of the group to understand the challenges and successes experienced by RCCI school nutrition directors. Participants were divided into small groups and asked to brainstorm and share the challenges and successes they have faced in their programs. The top three successes identified: 1.) students having positive feedback on the food 2.) healthier eating habits, 3.) improved overall health leading to weight loss and decreased obesity among students. The three major challenges included: 1.) staff training and accountability 2.) food waste and 3.) navigation of the DESE website. Once the challenges were identified, participants conversed, networked, listened, and learned about possible solutions and changes they could implement in their program. Challenge 1: Staff training is not ongoing and management is not always present. Some staff members incorrectly count meals. Possible Solutions 1: Encourage all staff members to attend a ServSafe training and offer portion control-related online trainings to new staff such as those offered through Making It Count. Ensure all trainers are able to train direct care employees about meal counting, especially on the weekends. Challenge 2: There is excessive food waste resulting from food being thrown away by students and food service employees. Possible Solutions 2: Provide nutrition education to students and staff about meal planning and portion sizes to help reduce food waste. Take a critical look at how food is seasoned or prepared, the appearance of the food, and what food students are throwing out most often. A possible solution to reduce food waste was shared by one of the participants where students assist in serving and cooking meals behind the line. As a result, these students encourage other students to eat the food they make, which results in less food waste. Challenge 3: The DESE website, specifically the Document and Reference library, is difficult to navigate. Possible Solutions 3: Add a search option or categorize the webpage to make it easier to find documents in the online library. Make To-Do lists interactive by providing a direct link to references and forms necessary to complete the paperwork on the lists. Handouts from this session include: School Meals and RCCIs — Making It Fit and Meal Access and Reimbursement. If you are looking to increase your knowledge about implementing and improving USDA National School Lunch and School Breakfast Program operations, consider participating in a Nuts and Bolts of School Nutrition Continuation Series Program. These sessions are offered online and in person for the 2018 to 2019 school year. What’s Cooking in the JSI Kitchen for 2019? This colorful and tasty veggie stir-fry is one of the many new recipes we are testing for our new Asian Fusion Culinary Workshop to Go coming in 2019! In the JSI Kitchen, we are creating Asian Fusion recipes for a new culinary Workshop to Go coming in 2019! Before culinary workshops are offered to Massachusetts schools, recipe testing is conducted in the food lab at FSU. We check to be sure the recipe is accurate, practical, affordable, meets the nutritional requirements and, of course, tastes great! Purchasing ingredients, prepping, cooking, and tasting new recipes is essential. The qualities and characteristics of each recipe are evaluated for appearance, taste, aroma, texture and overall acceptability. In doing this, recipe changes can be made to spices, herbs, or ingredients in the recipes, which lead to overall recipe improvement and ultimately student-approved recipes. Stir fry sugar snap peas are prepared on the stove. Feedback on the recipes is an essential part of the process. The JSI team scores and comments on the appearance, taste, aroma, texture, and acceptability of all the recipes. The favorites in this round of recipe testing included the colorful and tasty vegetable stir fry, crispy tofu, stir fry confetti rice, and the Asian beef strips. Please visit the John Stalker Institute website to request a culinary workshop. Stay tuned for more information about our new Back to Basics: Asian Fusion Workshop to Go coming in 2019! 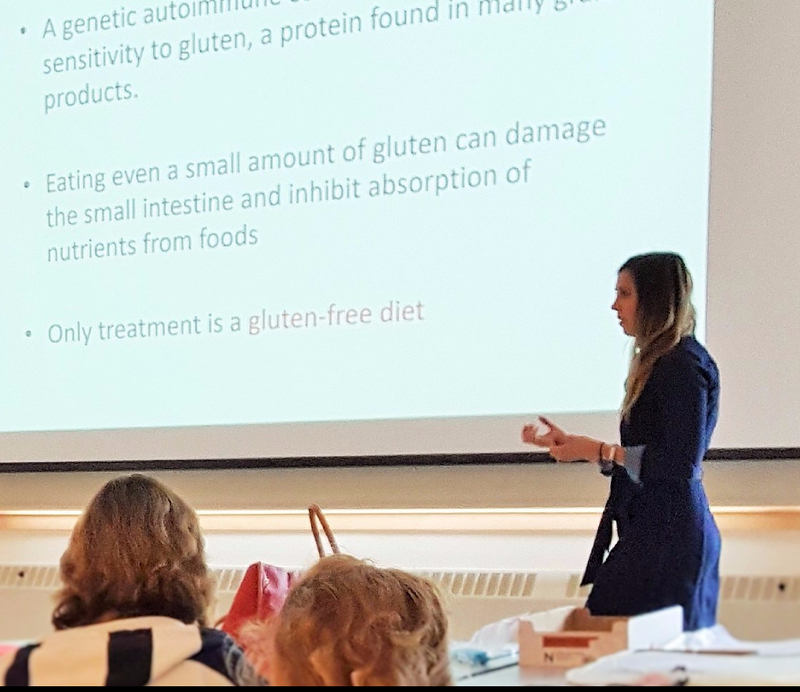 On Wednesday, September 20, 2017, JSI instructor and registered dietitian Alison Doak presented the Food Allergies Workshop to Go at the Webster Public Schools. The workshop provided an in-depth, interactive lesson for school nutrition staff about food allergies, including life-threatening allergies. Participants learned important warning signs of an allergic reaction, how to identify allergens on a food label, how to make appropriate substitutions, and many other vital pieces of information to integrate into their daily operations. Shown above is Alison Doak, MS, RDN, LDN, during the Food Allergy workshop. If you would like to schedule a Food Allergy workshop at your school, visit our website to request a JSI Workshops to Go. While there, you can find out about our 12 other workshops, too! 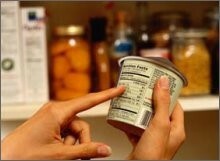 To learn more about food allergies, check out the JSI Resource Center. Additionally, the Managing Life-Threatening Allergies in Schools manual contains a wealth of information regarding food allergies and guidelines to create a multidisciplinary approach for allergies in your schools. In addition, the USDA has just released in 2017 the latest guidance on Accommodating Children with Disabilities in the School Meal Programs. The Nuts & Bolts of School Nutrition Programs Continuation Series is back for the 2017-2018 school year! This training series will provide you with the vital information and skills to improve program operations. Upcoming sessions include both in-person and online trainings covering important topics like Special Dietary Needs, USDA Foods and Inventory Management, Procurement, Afterschool Snack, At-Risk Snack, & Extended Day Snack, Farm to School, Production Records, Recipes, CN Labels, & Product Formulation Statements and Local Wellness Policies. Don’t miss out on the upcoming October 26, 2017 in-person session on Special Dietary Needs which will provide an overview of both the newly updated (2017) USDA Accommodating Children with Disabilities in the School Meal Programs and the (2016) Managing Life-Threatening Allergies in Schools manuals. Participants will receive a copy of the Managing Life-Threatening Allergies in Schools manual during the session. Register online by October 12, 2017 to join this session. Join us on November 15, 2017 for the in-person session on USDA Foods & Inventory Management. This session will provide an in-depth understanding of USDA foods such as DoD Fresh, monthly offer sheets, diversion survey, and making the most of your entitlement dollars. Register online by 11/1/2017 to join this session. All in-person trainings will be held at Framingham State University from 8:00 a.m. to 4:00 p.m. All online sessions will take place from 2:00 pm to 3:30 pm. The cost is $40 for in-person trainings. Online trainings are FREE. Those who complete seven or more sessions in the series will be recognized at the Healthy Kids, Healthy Programs Summit in May 2018. Sign-up today for an upcoming session!